📅 📅 August 2014 December 19, 2018 by Bruno B. Who said you need a car to explore Malta? This guide will show you how to get around Malta by public transport. All for an accident and hassle-free trip! First of all, if you’re thinking of going to Malta, you’re on to some great holidays. I can completely validate your intentions. While hanging out near the crystal azure waters is surely rewarding during the hot summer days, Malta is primarily an island of contrasts. It’s filled with an enriched tradition arising from its tangled and rewarding history. 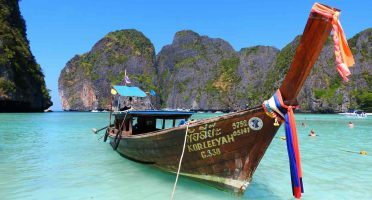 The question is: how to get around this fascinating island? Prepare for awesomeness in Malta! Malta by public transport or car? Dirty little secret. Even though I have gone on several road trips in the past in Croatia and Portugal, I can’t drive. I have a driving license, but the driving experience of a sweet potato. It would have to be some other person traveling with me driving in Malta. But in the end we decided not to rely exclusively on the large network of buses in Malta. Obviously, a car can take you to the remote places much easily without any waiting time. A bus will be slower. 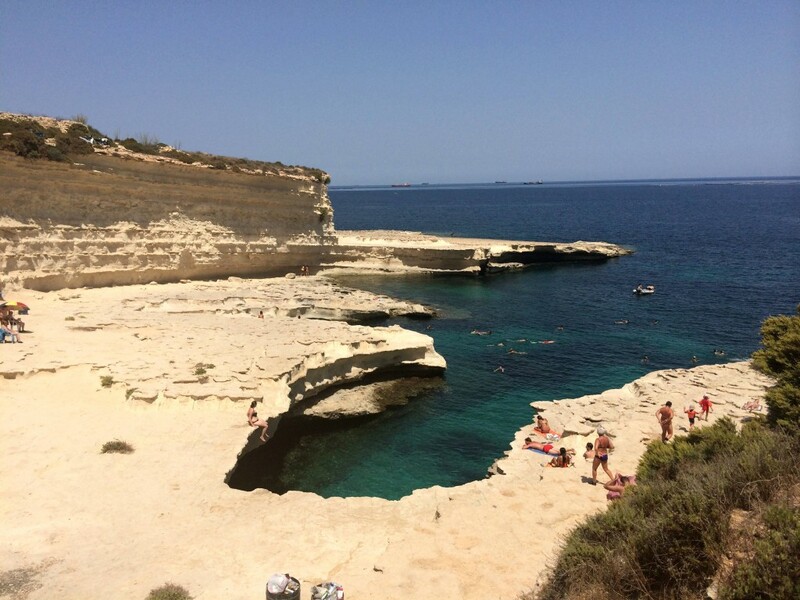 However we weren’t in a rush and after reading a ton of travellers complaining about how horrendous was to drive in Malta – poor driving standards and horrible signage were the hot topics – I began to feel uncomfortable with the idea. In the UK they drive on the left. In the US they drive on the right. In Malta we drive on the shade. Yeaaaahh, how about no? Bus turned out to be a great value-for-money option to get around Malta: cheap, safe and a much more local experience. Getting around by bus is straight-forward. 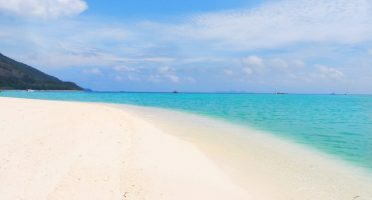 It’s usually safe and hassle-free and the island is very well connected. There are roughly 80 routes on the Maltese islands, operating daily between 5:30 and 23:00hrs. Google Maps was useful to know the routes and even the bus schedule, but you can use the official journey planner. Frequency is generally pretty good on major routes. In the major routes (e.g. Mellieha – Sliema) the buses are modern with comfortable seats. However in smaller ones, my favorites, you’ll most likely get a bumpy ride in a mini-van throughout the middle of nowhere. This russian roulette of comfort just added to the experience! 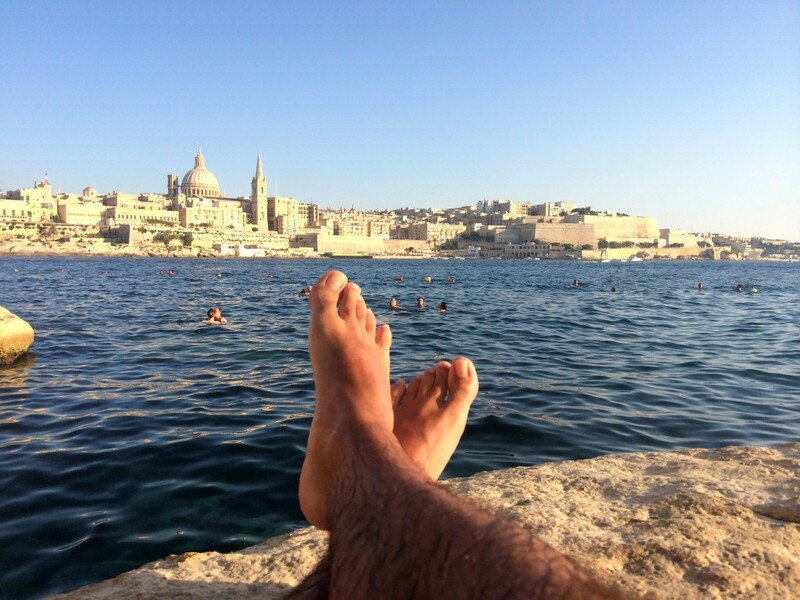 We visited Blue Lagoon, Ghadira Bay, Ghajn Tuffieha, Mdina, Marsaxlokk and Valletta pretty easily, just by using bus. Back in 2014, a 7-day public bus ticket costed only 6,50 euros (!). Prices have changed significantly since then though. The below are the ticket prices from 2016. Night routes (prefixed N) and express routes (prefixed TD) are more expensive. Has to be bought in advance and it can be used by more than one person for the same journey. Valid in both Malta and Gozo. Express and night buses have no extra cost. Kiosks are located at Valletta and Bugibba bus stations, Malta International Airport, Sliema Ferries, Mater Dei Hospital, and the the Victoria bus station in Gozo. Some hotels are also starting to sell bus tickets. Malta sits south of Sicilia, right in the heart of the Mediterranean. 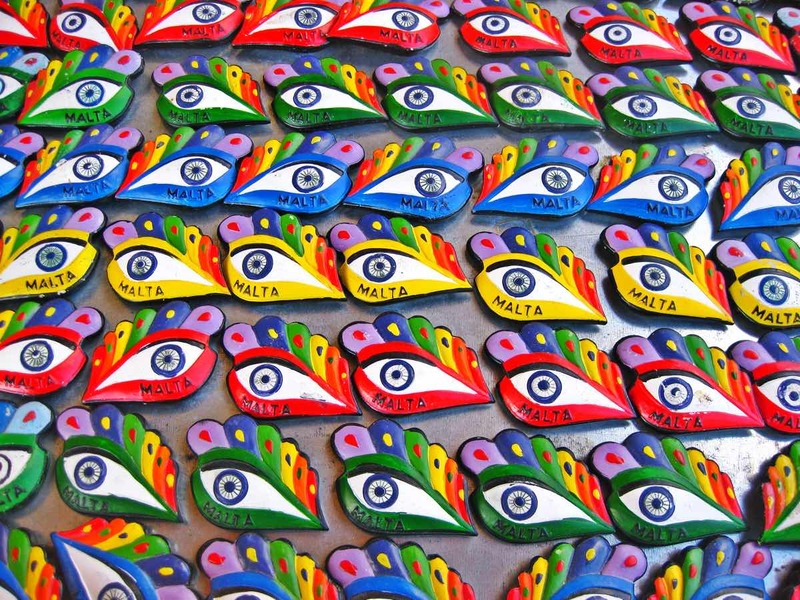 The main towns are Mellieha, Valletta and Mosta. To try to see the most of Malta we divided our stay between 2 places. 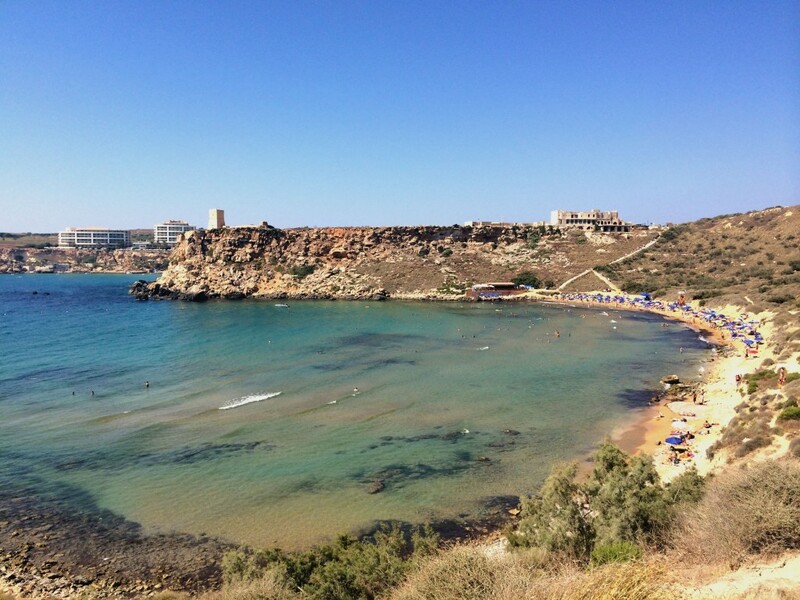 First, a few days in the relaxing and beachy north of Malta, in Mellieha. Then a few more days in lively urban Sliema in the south. This was a great option as it allowed to complete our list of places we wanted to see much more efficiently. 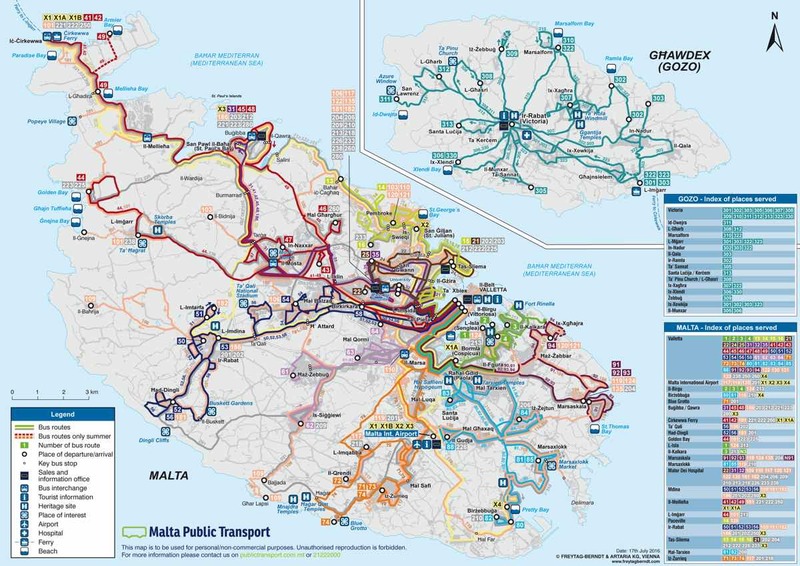 Find below details of the main bus connections between the main sights in Malta. When you rely on public transportation in Malta, you need to choose smartly where to base yourself to minimize any more time wasted. Make a list of places you want to see on the map and choose a well-located hub to stay. In the first part of our trip, we stayed in Mellieha. 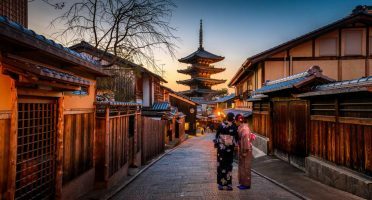 It is very laid-back pace, the ideal place to rest without the hype of tourist crowds. You can enjoy little big things like seeing the stars at night or watching the sunsets while still swimming at the beach. 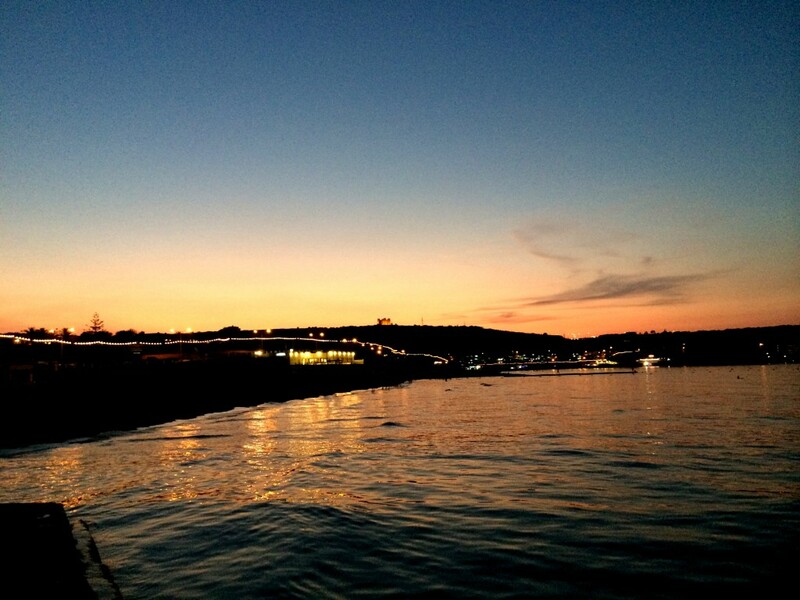 Sunset in Ghadira Bay during our late swim. Still, the best thing about Mellieha is that gives you easy access to several sandy beaches such as Ghadira Bay, Paradise Bay or Armier Bay. 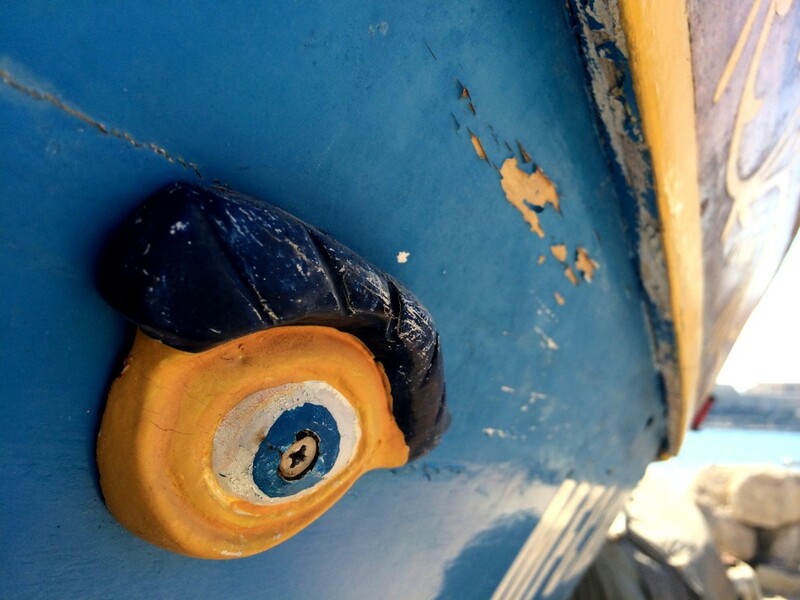 There are also diving spots like Popeye Village (where the original 1980 movie was filmed). Make sure you go to Ghajn Tuffieha as well. The beach itself is quieter, there are free boat rides to the coast nearby and I was delighted with the views around the bay. Mellieha is also a short bus trip away from the Cirkewwa Terminal, where the ferries to Gozo and Comino islands depart. You can read about my excitement on the crystal clear waters of the Blue Lagoon in Comino. Together with Zlatni Rat beach in Croatia, easily the most amazing water I’ve swimmed on. 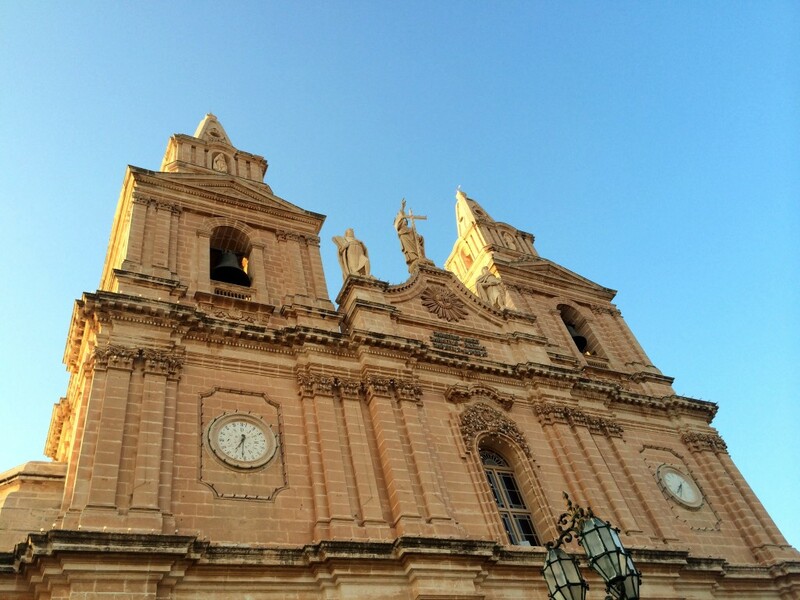 While we were based on Mellieha we also explored Mdina, located in the heart of the island and dating back 4,000 years(!). It is now nicknamed Silent City and you immediately know why. Walking its narrow streets and monochromatic alleyways provides a relaxing atmosphere. Very few cars are allowed and there are several silence signs scattered by the city. It makes you dive back into time right after you cross the city walls. How Game of Thrones is this place? The Phoenicians knew what they were doing when they founded and fortified Mdina. It benefits from being the island’s highest point, far away from the sea which is perfect to ensure protection from the enemies. 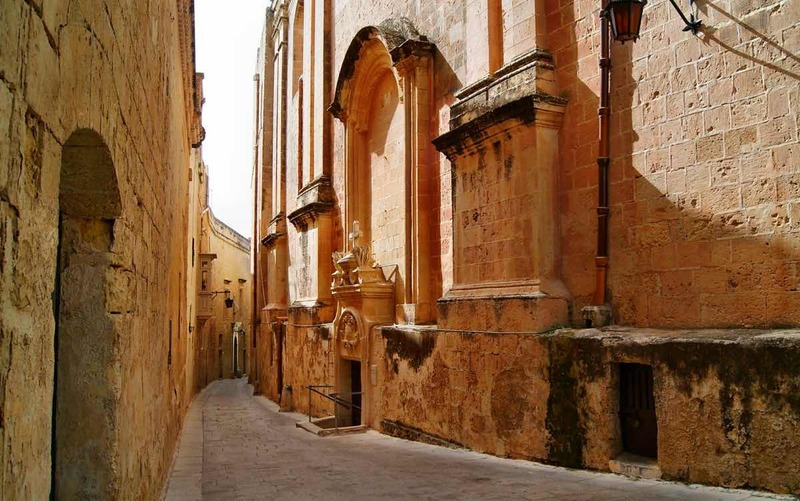 Mdina was the capital of Malta until 1530, when the Knights of Malta decided to move it to Vittoriosa, one of the three fortified cities across the Grand Harbour in the capital Valetta. Modern design, comfortable rooms and a delicious breakfast. Ah and this stunning pool view! Or you can start with my shortlist of the top-rated places to stay in Malta, with WiFi included. La Valletta as seem from Sliema promenade. 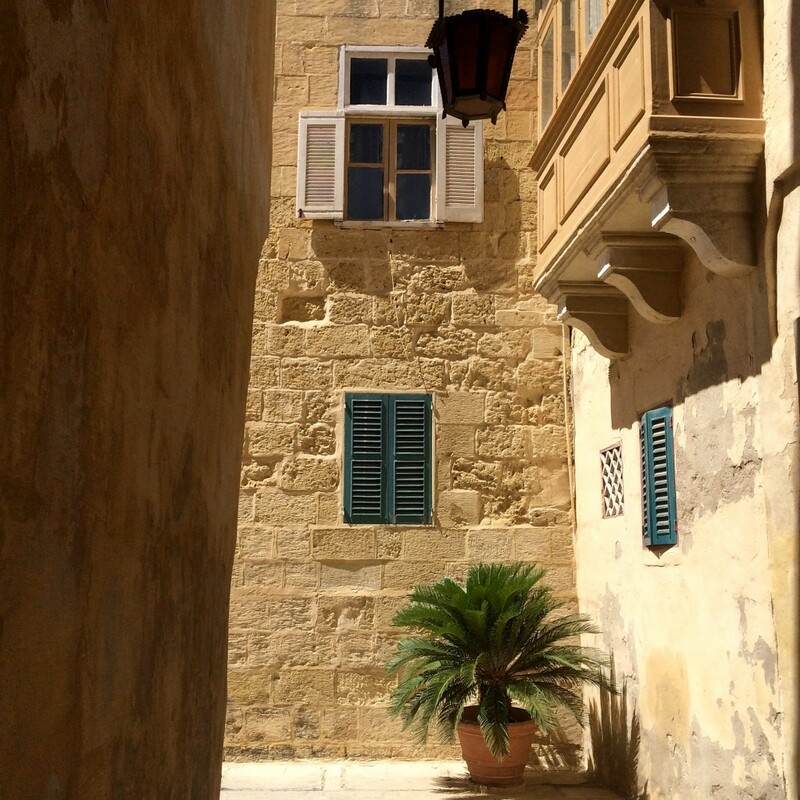 From the south part of Malta’s exploration, we were based in Sliema in an hotel near-to-awful. No air-conditioning, no wifi, no friendliness, no nothing. One of my biggest fails in online booking accommodation’s history! I’ll not mention names, but make sure you avoid Alborada Apart Hotel! Moving on. Sliema, along with St. Julian’s next door, is the center of the world for both the Maltese and tourists. 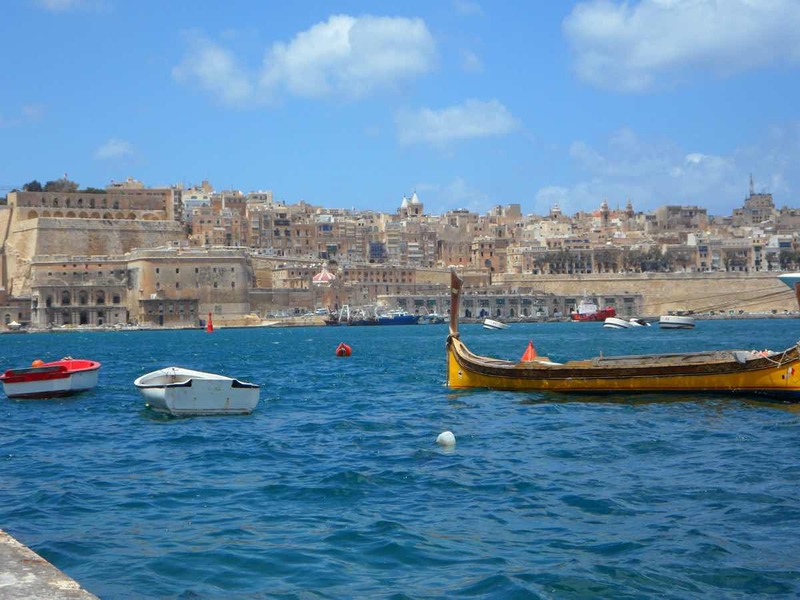 It’s got the majority of the hotels, the shopping centers, the restaurants, the nightlife and even a place to swim with a very nice view of Valetta. Actually, from Sliema you can have the best views from the capital and I can confirm La Valletta is definitely a charm from any angle. The promenade between Sliema and St. Julians also has some of the best restaurants in the whole island. We decided not to risk tourist traps and went for the inner streets and found one amazingly good. It’s called Trakis and it has the most popular maltese dish, rabbit cooked in garlic and wine, as well as other delicious dishes. In addition, being only a 10-minute ferry trip away from Valetta, Sliema also gives you access to the largest bus terminal in the island. It was from there that we hop on the bus 81 to visit Marsaxlokk. St. Peter’s Pool was nearby so we decided to ask what was the best way to get there. And a nice man offered himself to take us there and picked us up later in the afternoon for a small fee. Next thing we knew we were sitting on the back of a dark van. What it appeared a kidnap situation was still better than a 30-min walk under the hot blazing sun. Like in the entire island, the sea at St. Peter’s natural pools has an amazing mix of azure and green colors, offering both a swimming bliss and a perfect snorkel opportunity. We did both quite enthusiastically. It is a bit of a remote place, not so easy to find and there are no facilities of any kind. As a result, there weren’t nearly as many people as in other beaches in Malta. I adventured myself jumping into the waters from several meters up. Actually it was only 4. But hey as I’m terribly afraid of heights, for me it seemed at least 10! St. Peter’s Pool is a real treat for people looking for a special spot out of the busy areas. You can experience the beautiful Mediterranean without laying on one of its thousands of tourist-crowded beaches. This is what makes this island unique, I think. And it left me wondering how many more places like this Malta has to offer. 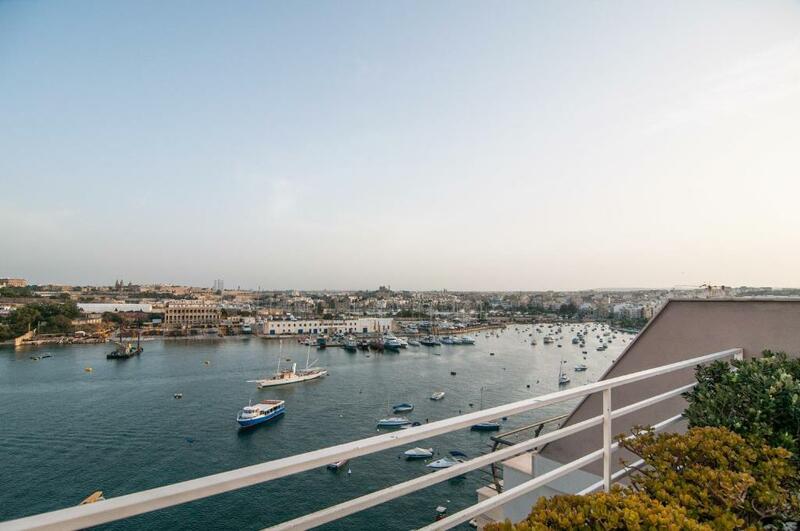 Located opposite the sea harbour and with a stunning view over Valetta, this modern guesthouse has everything you need for a stay in Malta. The ferries to Gozo and Valetta are just a 2-min walk away. Make sure you know the routes and bus schedules of the places you’re going. Use Google Maps or the official Malta Public Transport website. Choose wisely the towns you’re staying in. They should be well-connected and close to the sights you want to see. 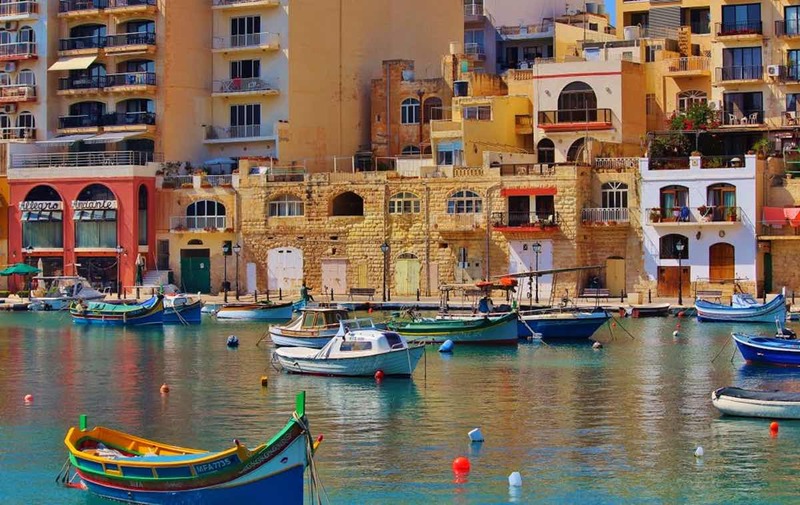 Mellieha (north), Sliema and Valetta (south) are the best options. Don’t expect luxury. A bus might very well be a tiny uncomfortable van. I’m still looking at you Malta! Pastizzi. These palm-size layers of crispy pastry filled with either ricotta cheese (the best ones) or pea (funny taste) are cheap street food and a very tasty snack! Have you been to Malta? How did you get around? What were your best experiences there?